Is the Adoption of Facial Recognition Technology on the Rise? Facial recognition technology continues to draw the attention of security professionals who are looking to deploy the latest security solutions that marries video surveillance with high-tech analytical capabilities. Thanks to more manufacturers entering this market and technological advancements, there are multiple solutions from which to choose, the cost has decreased and the technology’s ability to detect and identify an individual has become more reliable. The introduction of facial recognition technology has opened the world of possibilities. Originally touted as a solution to proactively pick out a criminal in a crowd, facial recognition is making its way into the mainstream security market and is being used by hospitals as a contactless and non-invasive access control solution. This is important in high risk areas of the hospital where contamination is an issue. Retailers are also leveraging facial recognition to track customer behavior or identify shoplifters. Some large companies are using facial recognition technology exclusively, in turn facilitating a quicker throughput of employees as they enter the building and eliminating the need for an employee to present a badge. Even social media platform Facebook has deployed facial recognition technology to notify a person that their photo has been posted, even if that person has not been tagged. All of this is made possible thanks to the development of facial recognition software that uses biometrics with high resolution cameras to map facial features from either a photograph or video and then uses a database of images to present a match. 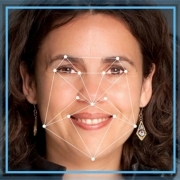 Facial recognition has made great strides with 99 percent accuracy for some products. As facial recognition technology continues to evolve, security professionals should expect this solution to become part of their security playbook, much like access control and surveillance. Its ability to identify known and potential criminals, coupled with its high accuracy, presents myriad of possibilities. https://www.security-net.com/blog/wp-content/uploads/2018/11/Screen-Shot-2018-11-09-at-1.jpg 380 550 SNBlog https://www.security-net.com/blog/wp-content/uploads/2018/07/logo-25-2.png SNBlog2018-11-09 17:31:052019-01-30 14:24:15Is the Adoption of Facial Recognition Technology on the Rise? Security in healthcare settings is not a new concept. Many hospitals today boast a robust security system that includes hundreds of surveillance cameras and an access control system to monitor activity and ensure that only authorized individuals gain access to sensitive areas. However, sometimes authorized individuals can pose the greatest threat. 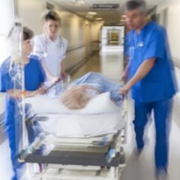 Hospitals administrators are now looking to reduce liability and implement new safety measures to greatly improve patient safety, especially as it relates to suicide prevention to enhance security to patients who are most at risk. With new patient safety recommendations in behavioral health settings from the Joint Commission, security systems integrators have taken an active role in the direct safety of patients in these treatment facilities and hospital wings. This includes educating hospital security directors about available solutions and then installing and implementing these systems. Beyond surveillance, which has been used to monitor secluded patients for erratic or unsafe behavior, healthcare facilities are turning to ligature resistant products to minimize the risk that a patient will use the door hardware, a grab bar or hinges to inflict self-harm. In addition to monitoring behavior, administrators can choose to install pressure switches on doors to set off an alarm if it detects a potential safety issue, such as a towel or a sheet hanging off the top of the door, indicating suicidal ideation. This technology can also be used to alert staff if someone tries to barricade the door with an item. Just like a hospital’s surveillance systems, these products are being installed by trained security systems integrators as these devices are often an extension of a hospital’s existing security and safety program. Patient safety has come a long way since the days when the main concern was about patients falling out of a hospital bed. Today hospitals are going to great lengths to implement security systems that support not just physical, but mental health as well. Video surveillance products have been a long time-staple of loss prevention directors in the retail market. Shoplifting, sweet hearting, slip and falls, product contamination or tampering, and armed robbery are all age-old problems. Some of the very first closed-circuit television cameras were installed in the late 1970’s to help grocery stores combat shoplifting. The evolution of technology since that time has helped immensely. Today security professionals can view a large portion of the parking lot with one digital camera. That camera can provide a 360-degree view that is outstanding. Not to mention it is now possible to digitally enhance the frame to read a license plate or to positively identify a suspect. A loss prevention director does not have to be in the store but can now view the images from his or her smart phone. Facial recognition allows the retailer to enter images of repeat shoplifting offenders into the video management system, alerting store personnel whenever one of those individuals enters the store. The system works by comparing a live image of the individual cross referenced with a stored image to provide a match with an extremely low fail rate. While surveillance remains of utmost importance in the retail market, so much of what retailers are dealing with is immersed in liability. If someone is hurt on a retailer’s property for any reason, customer or employee, the cost to defend a claim can be astronomical. Insurance premiums creep as a result of a negative incident. Self-insuring your risk has become an option for the large retailers, simply to reduce costs. Retailers are now leveraging a variety of access control solutions to secure the IT department and traditional office areas where sensitive information pertaining to human resources is stored. The audit trail is so important to identify those who are entering and to prevent those from entering who have no reason to be in these areas. This, when also combined with a video surveillance system, helps to ensure identifiability if anyone attempts entry using a stolen access credential or possibly a loaned card by a fellow employee. Beyond the traditional uses, video surveillance can also be used as a valuable training tool. When checkout lines backup, retailers are identifying staff who need additional assistance or training to perform their jobs more efficiently. Retailers recognize that customer service is key and their video surveillance system provides them with great insight. For example, if an employee is overly engaged in conversation, that can impact a waiting customer’s experience in a negative way. 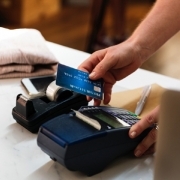 In addition, retailers are starting to use analytics within cashier lines to identify customer abandonment of product, resulting lost revenue due to the time of check out. Video surveillance remains an important tool for retail security professionals, yet it’s clear that its use and the adoption of access control technology in a retail environment has evolved beyond only being used to catch a grocery store shoplifter. As more and more businesses grow outside their local footprint, many are finding it is critical to forge relationships with business partners who can serve them across multiple geographic locations. 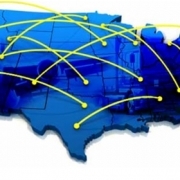 This can be a simple as wanting to use the same internet provider for 10 offices located in multiple states to contracting with a single shipping company to deliver goods to customers. For businesses, being able to work with a single supplier of goods or services enables them to streamline processes and standardize on equipment. It’s easier to troubleshoot a problem or upgrade a system company-wide when the company office in Topeka, Kan., is using and has deployed the same access control system as the office in Pensacola, Fla. So, why should standardizing on your security systems integrator be viewed any differently? The security industry has experienced significant changes in recent years, where the national market was once dominated by super-giant security systems integrators with hundreds of locations across the country. While united under a single name, many of these companies still lacked the ability, processes and the project management systems for a location on the West Coast to seamlessly communicate information for a project on the East Coast. Today, more regional security systems integrators, like members of Security-Net, are coming together to provide national account level fulfillment capabilities with all the benefits of working with a small, local security systems integrator but on a larger scale. Those benefits including working with a company that intimately knows your business, its unique needs and challenges, along with understanding the importance of standardizing on equipment across multiple locations. In addition, unlike hiring five different integrators for five different geographic locations, a national account integrator will handle all aspects of the project, from systems design to installation and then service, meaning there is consistency throughout and one point of contact. Without a doubt project management skills and expertise in the security market are just a few of the important qualities required of a security systems integrator who will successfully support their multi-location end user customer. Partnering with reliable security systems integrators nationally eliminates the guesswork and alleviates the risk that comes with partnering with someone new. As you evaluate your relationship with your security systems integrator it is important to recognize where your company is currently, how you expect it to grow, and who you want by your side through it all. A trusted partnership goes a long way, especially as it relates to security. 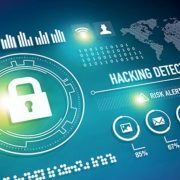 By Bill Hirdler, Technical Support Manager, MidCo Inc.
Cyber threats aren’t tangible, so it is no wonder there has been an increase in cyber attacks given the rise of the Internet of Things. When it comes to protecting your business, employees and assets, there are a few precautions that should be taken into account, ranging from traditional forms of security to precautionary measures that might seem less obvious. Using a combination of best practices is the easiest way to ensure important information will remain secure. The easiest and most obvious security measure is to install a firewall on your network and to keep firmware up to date. An important part of the firewall is only allowing the necessary ports and devices to communicate through it. Keeping a tight control over what is allowed through the firewall is important to device security. Also, having advanced monitoring services such as deep packet inspection to inspect the content of the packets, and not just header information. Deep packet inspection can also assist in network management to streamline the flow of network traffic ensuring high priority traffic can be prioritized. Another measure to consider is to isolate your video and access control systems from the network you use to manage our business operations. While this approach is contrary to what the security industry has discussed in recent years, increased vulnerability has prompted many businesses to take this approach. By placing security devices on their own isolated network the probability of a breach is more unlikely because the use of IP and MAC address filters can provide basic defense when a separate physical network is not a possibility. There are online searchable databases that expose publically accessible and vulnerable devices easily providing hackers with information on devices are directly exposed to the internet. It’s important to keep in mind that, as the Internet of Things continues to grow, so do options for devices on the network. A home owner or small business can now buy a camera online and easily connect it to their mobile device. However, by just using a plug and play method, this video camera is now connected to the internet and attaching to servers on the location closest to your mobile device, further opening up the camera, mobile device and the network to potential hackers. These now become an extremely easy target since there are few precautions. Changing default login credentials and disabling unused/unneeded services are basic and easy measures to help prevent backdoor access or exploits. While automatic updates will connect devices to the internet, it’s better to have them turned on than to forget to update firmware completely. Leaving something unpatched and un-updated is something hackers look for, and is an easy loophole in security. One approach to handle updates is to establish a scheduled maintenance window where you will manually install any updates to control exactly what gets installed and when. This helps to ensure that nothing from the internet can sneak its way past you. In addition, performing network baseline measurements to see normal network activity can help indicate or pinpoint causes of unusual network activity or spikes in bandwidth. This is also a good practice to ensure authorized devices are communicating without issue and help optimize network performance. There are some security measures that have become second nature for many people, but there are still other best practices that people would not know to look out for. The best defense against outside threats is to first recognize that any device can become vulnerable at any time, and to take the necessary precautions. From dome, to bullet, to panoramic cameras, there are more surveillance camera options on the market today than ever before. With expanding camera functionalities, how does a security director decide which camera is right for their facility? Ask yourself: Why are we putting a camera here? An important part of choosing a camera is determining the desired coverage area, and the goal of surveillance. Panoramic and multi-sensor cameras allow for expansive coverage, but probably would not be necessary for a small office building. At the same time, they offer the capability of digitally zooming in on a scene, something that is useful for reviewing video after the fact. Setting a clear goal will help establish what requirements you want, versus what requirements you really need. What technical requirements are needed to meet surveillance goals? The placement of the camera could require special functionality, such as low light capabilities, weather proof capabilities, or vandal proof capabilities, to name a few. If a vast space requires coverage, there should be an understanding of the differences between PTZ, panoramic, and multi-sensor cameras. PTZ cameras have a mechanical feature that allows them to zoom in on things far away without relying on digital zoom, but may require multiple cameras. In contrast, high level megapixel multi-sensor cameras allow for large amounts of coverage and the ability to digitally zoom, either during the live recording or after the fact, with a single camera. Different capabilities cater to very different needs. Does the existing network infrastructure support the camera? Once the technical requirements are figured out and a potential camera choice is identified, the network infrastructure itself must be analyzed. The existing infrastructure may simply be unable to support large amounts of data that could come from multiple, high definition surveillance cameras. If so, a switch to a fiber based system could be an option, if it is not cost prohibitive to pull new wire. How is this camera going to impact my recording capabilities? Higher megapixel cameras require increased storage capacities. Customers like the idea of 4k cameras, but their existing recorder may not have the storage capabilities to support the camera and meet required standards for keeping multiple days of recorded video on hand. If a customer has a standard for days of recorded video, and already has trouble achieving it with lower resolution cameras, adding a higher resolution camera may not be the most cost effective or efficient solution. After a camera is chosen based on needs and technical requirements, some decision makers unrelated to the security department could show resistance. For example, a PTZ camera in a business lobby might be too “gaudy” for the image the business is hoping to convey. A smaller, more discreet multi-sensor camera could be an alternative option. It is necessary to take into account alternative mounting options like recessed mounts, or camera painting options to better fit the structure of the building. If all of these are impossible, a different camera may need to be selected. From technicalities to aesthetics, there is a lot to take into account when selecting a camera. Establishing a goal early on will ensure there is a common vision being worked upon to find the best solution to fit your wants and needs. Surveillance cameras are perhaps one of the most visible aspects of a security system to the general public. They are mounted to the exterior of buildings, along long corridors in healthcare facilities and schools and throughout the interior of retail stores. However, in recent years, the number of surveillance cameras being deployed in the field has slowly started to decrease and for good reason. The introduction of multi-sensor cameras has begun to change the surveillance landscape as one camera containing this technology can see a larger field of view compared to their single sensor counterparts. 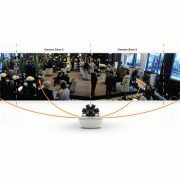 What once took four cameras to provide 360 degrees of coverage can now be accomplished with one multi-sensor camera. This is a trend that has steadily grown over the past three years. A single camera containing multi-sensor technology has the ability to capture 360 degrees of view. Each camera is equipped with a four-image sensor fixed lens, so essentially one camera can do the work of four individual cameras. These cameras are weather proof and designed to cover a wide range of ground such as a parking lot, but places such as a school gymnasium can benefit from the technology as well. 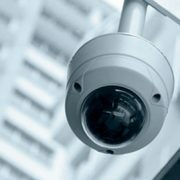 For the security end user there are several benefits to using multi-sensor cameras. First, the cost of surveillance cameras can be reduced significantly while simultaneously giving end users full and complete surveillance coverage. For example, two standard dome cameras can cost close to the same as a single multi-sensor equipped camera. This means that if the area under surveillance requires three or more traditional cameras to get a full picture, a single multi-sensor camera could accomplish the same as those three. This also means lower licensing fee costs, which corresponds with the number of cameras used, not the number of sensors within a camera. Second, end users can expect the cost of installation to decrease. Instead of mounting four separate cameras in four separate locations, increasing camera set-up and installation time, in many cases one camera can be mounted on the corner of a building, or in the middle of a large space. This niche technology is also replacing PTZ cameras as far as ease of use and functionality. A PTZ camera’s inherent flaw is that it needs an operator, and the operator must be looking in the correct direction to detect an event. If the camera is pointing at two degrees and an event happens at 200 degrees, it will be missed. If instead there is a multi-sensor camera pointed every 60 degrees, there will be full coverage at all times. This is especially useful for businesses that do not have guards to monitor PTZs. One camera is doing the work of four cameras, plus a human operator. Overall, multi-sensor cameras provide numerous benefits, but end users should still ask themselves a few key questions before investing in multi-sensor cameras. Is it going to be more beneficial to install this camera in the long run because the cost of ownership is lower? Or is the space that requires coverage not very large, so is it worth it to install a multi-sensor camera? Here the determining factor is the number of traditional cameras required to cover a single space. If you can rationalize that a third camera is needed, then a multi-sensor camera which can take the place of all three may be the way to go.